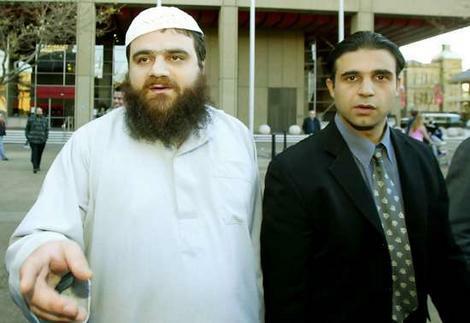 A Supreme Court jury has been discharged after failing to make a decision on a second charge against a Sydney man who compiled a book on terrorism. Belal Khazal pleaded not guilty to two terrorism-related charges after producing a book published on the internet. The court heard it had information on how to blow up planes and an assassination hit-list. Khazal's lawyer argued he was the author of just a few paragraphs and that he compiled information that was available to anyone on the internet. Yesterday a Supreme Court jury found the 38-year-old guilty of one charge - producing a book knowing it was connected with assisting a terrorist act. But the jury has been unable to make a decision on the second charge of attempting to incite a terrorist act. The Director of Public Prosecutions (DPP) is yet to decide if Khazal will face a re-trial on that second charge. Quote: Seems clear that writing a couple of paragraphs that landed in some book doesn't commit any deed in relation to what others may think? Or do about it. Let the man go this trial is a witch-hunt. Quote: It will be interesting to see what sentence he gets in relation to the Suspended sentence given in the winery terrorist plot case. Where there was prime evidence to commit a terrorist act on Australian soil. In this case found guilty of merely submitting a couple of paragraphs to the authors of a book would hardly be classified as "producing a book knowing it was connected with assisting in a terrorist act." What terrorist act? And what if the said alleged terrorist act was in resisting occupation? Seems then it's only a matter of what race you belong to? Or who wanted to win an illegal occupation of a sovereign nation? And Draconian Laws in the land of the occupier - upon which those who dissent against occupation and murder - even in their own homeland - in relation to an illegal and degrading war - and crimes against humanity can be punished for words and not deeds.